Have you ever gotten up in the morning and just felt like crap. No distinct symptoms, just a general blah feeling. Well, this was my morning. Today was the weekly kite club fly and I just didn’t feel like packing up the car and going to the beach. Egad! Did I really write that? Not going to the beach? There is definitely something wrong. I ended up going to the beach but not to fly. I returned the borrowed blue Vamp Devil and made an equipment exchange with a friend that was promised last week. Then, after a short stop at the kite store, I went home. And didn’t do much. I watched TV, dozed a bit, and equalized some quad lines so they would be ready for the next flying day. And I started getting the pattern ready for my next kite build. That’s about it. Just before sunset, I was feeling the urge to fly. So my husband and I went to the beach. There was no one there. Of course, there was only an hour to go before the gate to the park was closed for the night. And clouds had started rolling in and taking a beautiful sunset away from us. But the temperature had cooled down and the breeze was coming up. 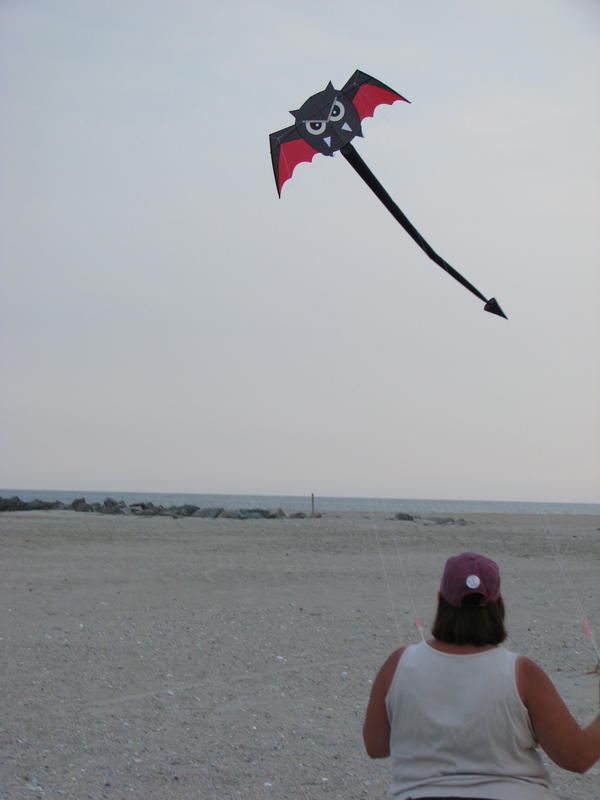 And I pulled out my latest acquired kite. Yes, it was the Vamp Devil Quad. 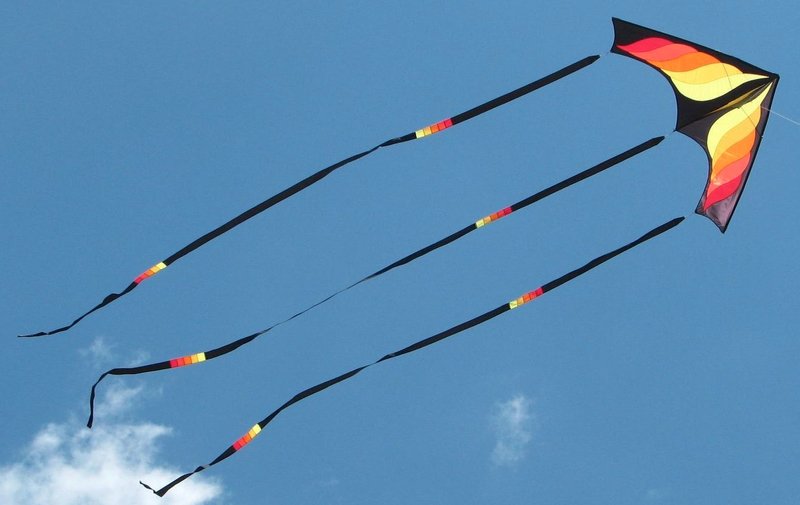 Right now I am finding out exactly how to set the lines so that I have a comfortable feel for the kite. The really hard point to find is the right setting for the brake lines. I thought I had found a solution and I was right. Today I felt I had the best control that I’ve ever had. It’s just a matter of tweaking until it feels right. I flew for a little less than an hour. The sun went down and the gate was about to be closed when we left. That’s twice this week we’ve been the last car out. Keep this up and the rangers will start to know our car on sight and tell up to lock up on our way out. 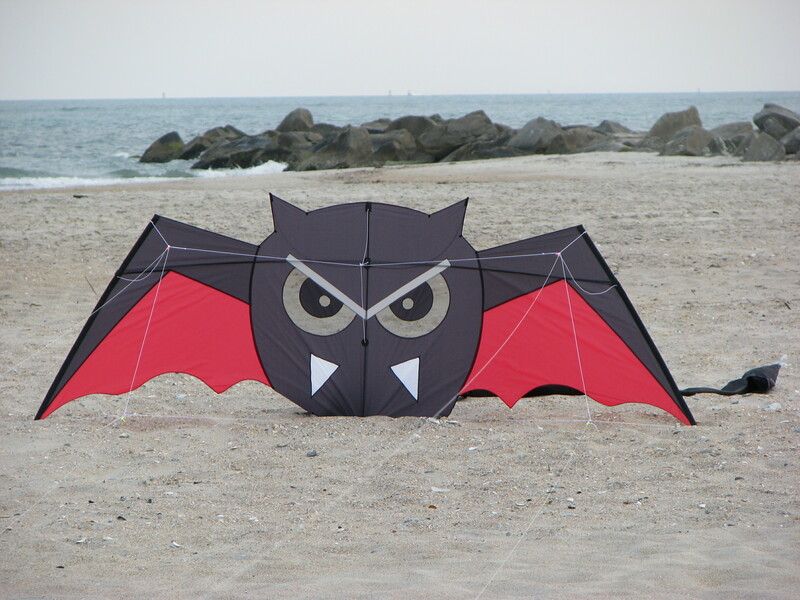 I am really loving this kite. It is such fun to fly and almost makes a spectacle of itself it in the air. 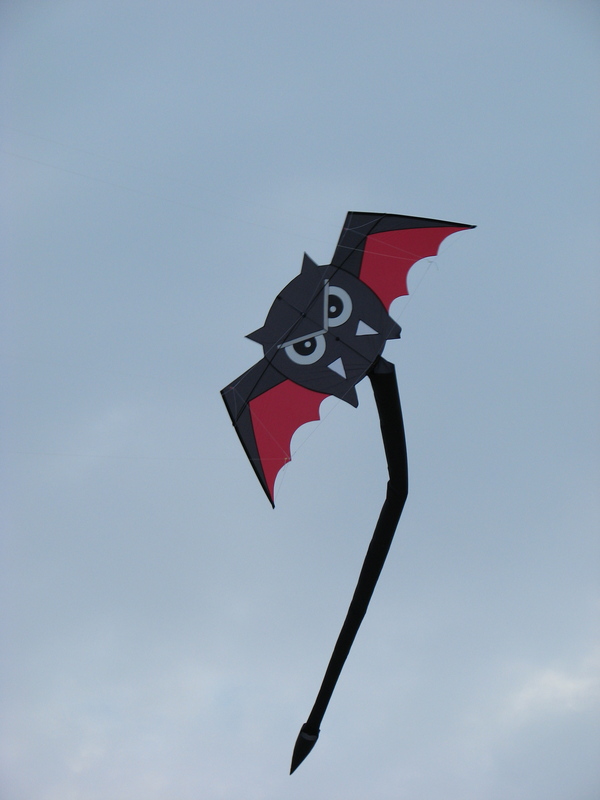 It is not only me who is captivated by this kite. One of our out-of-town fliers has purchased another color Vamp Devil and is having it shipped to him. Another flier is seriously, seriously considering a purchase. That’s three gone in one week. I don’t know if it is catching on as fast in other areas of the country but it’s making a stir here. Who knows? 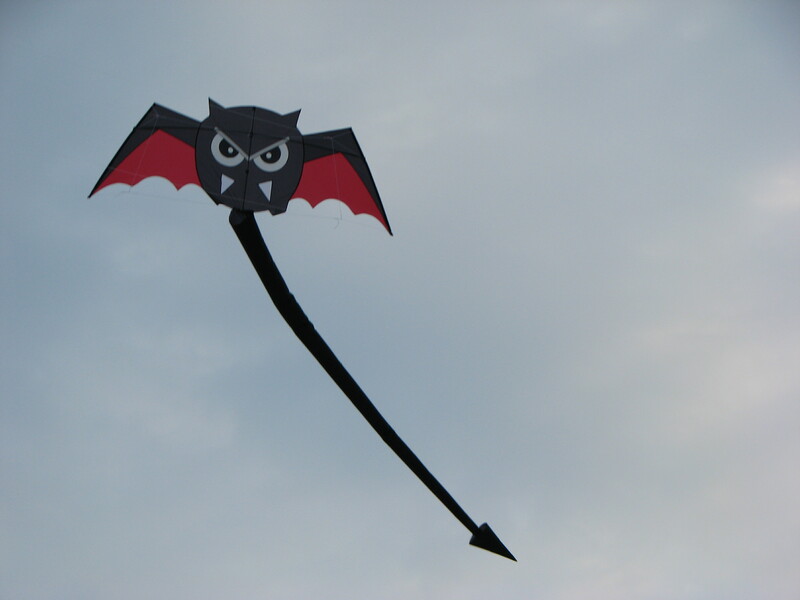 We may start up a Vamp Devil flying team and fly at our fall kite festival. Well, maybe not. I may not be that brave. Like the new kite! Looks great! « It’s Here! It’s Here!